Giannix Luxury Service Srl Owner: Gianni Bruscoli was born in Volterra (Tuscany) the 9th april of 1966. He has been working from 2010 in luxury car rental and thanks to his experience he provides also charter yacht and exclusive services like Helicopter and jet.. He is married and has two children; Forte dei Marmi and Milan are his bases. 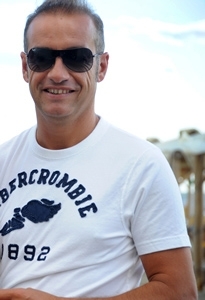 His hobbies are sport and music: he practices competitive tennis and play guitar in a band called Quadrifoglio. At your request you will be contacted by our staff. One of our advisor will follow you step by step to fully satisfy your wishes.